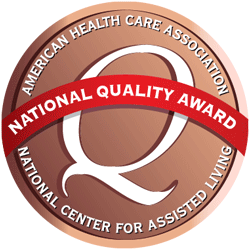 Above all else, we focus on quality of life beyond Chowan River. From the moment a patient arrives at Chowan River Rehabilitation & Nursing Center, we begin planning for their return home. Through personalized rehabilitation plans, we develop milestones and a timeline for each patient’s journey, fully expecting that most patients who enter our facility can be restored to their prior level of ability. Our individualized and intensive physical therapy programs are designed to reduce our patients' readmittance, maintain their independence and return them to their lives as quickly and completely as possible. While away from home, we make patients’ stay at Chowan River like visiting their neighbors. 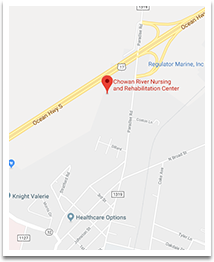 Our location in the small town of Edenton, several staff that have personally served patients and their families for more than five and ten years, and reassuring and restorative family environment makes a stay in the Chowan River community a stay with your neighbors away from home. When a patient is ready to return home, we work closely with their family to develop a continuing care plan that ensures their recovery can and will continue after they are discharged. At Chowan River, we believe that rehabilitation is just a step toward a happier, healthier future.